MaryAnn Diorio Ministries is an outgrowth of Daystar Ministries International, first founded by Dr. MaryAnn in 1984. When the Daystar Television Network began to gain prominence, Dr. MaryAnn began to receive numerous phone calls and even donations for this wonderful television ministry. Of course, she returned all of the donations and forwarded all phone calls. When it became apparent that the public was increasingly confusing her ministry with the television ministry, Dr. MaryAnn felt the need to change the name of her ministry to MaryAnn Diorio Ministries in order to avoid continued confusion. Dr. Diorio's ministry began as a writing ministry and then grew into a teaching and speaking ministry. For several years, she wrote The Daystar Devotional. Currently, she writes Winning with the Word, a weekly devotional addressing the common challenges of daily life from a Biblical perspective. Today, she continues to minister primarily through the written word and through her Life Coaching practice through which she helps clients find their way, God's way. For more information on life coaching, click here. The mission of MaryAnn Diorio Ministries is to exalt our Lord and Savior, Jesus Christ, through writing and teaching and, in this way, to do our part in fulfilling the Great Commission. Our logo is a blue butterfly, symbol of the new birth and transformation that occur when we accept Jesus Christ as our personal Savior and Lord and allow His Holy Spirit to transform us. Our key Scripture verse is John 8:32 "You shall know the truth, and the truth shall make you free." We have available a variety of resources to assist you in knowing Christ and growing in your relationship with Him. These resources are available through our Bookstore link in the menu above. We do not take offerings, but we do appreciate your prayers. Also, we do charge a small fee for telephone and email coaching for healing and deliverance. Dr. MaryAnn Diorio is an award-winning author, novelist, and poet. She writes novels, novellas, short stories, and poetry for both adults and children. She is also a fine artist and works in oils, acrylics, pastels, colored pencil, and pen-and-ink. Her musical interests include singing with her family five-member vocal group,The Augmented Fourth ® (consisting of her husband, their two daughters, and son-in-law) and playing the piano and the cello. In 1979, MaryAnn accepted the call of God on her life to become a writer. Since then, she has written several hundred articles, short stories, and poems that have appeared in over 100 national magazines, newspapers, and journals, including The Saturday Evening Post, Billy Grahams Decision Magazine, The Atlantic City Press, and Human Events. She also served as head writer for the television series Teen Machine. MaryAnns popular syndicated column, Winning with the Word, was published for several years in newspapers throughout the state of New Jersey. It is now published via the Internet. To subscribe to this free weekly devotional, simply send an email to MaryAnn at DrMaryAnn@TopNotchLifeandCareerCoaching.com. MaryAnn has also served as a syndicated columnist for the AMY Foundation Internet Syndicate. She has authored four books: Selling Yourself On You: Discovering Gods Will for Your Life, A Students Guide to Nathaniel Hawthorne, A Students Guide to Herman Melville, and A Students Guide to Mark Twain and has been a contributor to seven others: My Turn to Care (Thomas Nelson), Religious Writers Marketplace (Abingdon Press)), The Young Generation Book of Short Stories, Rest Stops for Busy Moms, Rest Stops for Teachers (Broadman & Holman), The Heart of a Teacher (Bethany House), and God Answers Moms Prayers (God Allows U-Turns series, Harvest House, 2005). MaryAnn has also authored five booklets: Dating Etiquette for Christian Teens, Balancing Your Budget Gods Way, Making Your Marriage Work, Writing Fiction for Children, and Writing Non-Fiction for Children. 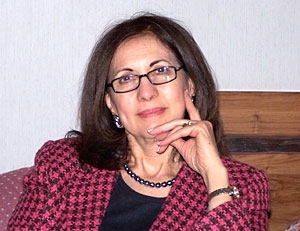 In 1990, MaryAnn won the $4000 Third Place Award in the Annual AMY Writing Awards Program for her article entitled From Feminism to Freedom. Her short story entitled The Birthmark placed fifth in the 1990 National Writers Club Short Story Contest and ranked in the top 100 in the 1990 Writers Digest Short Story Contest. She has also received an Honorable Mention award from TAKE ONE Radio Theatre for a radio script. In 1992, she was awarded the Second Place Prize in the Novel Category at the St. Davids Christian Writers Conference. In 2006, she placed third in the ACFW Genesis Contest Womens Fiction category for her novel Sicilian Sunrise. In 2009, her novel placed second in the Inspirational Category of the East Texas RWA Southern Heat Contest. MaryAnn has appeared on several radio and television talk shows, including the nation-wide LeSea Alive program hosted by the late Dr. Lester Sumrall, By the Book hosted by Debbie Williams, and Women of Grace hosted by Kelly McCausey. She has also been interviewed on WDAS (Philadelphia), WIBG (South Jersey), and WNNN (South Jersey). Articles about her writing have appeared in The Press of Atlantic City, The Daily Journal, The Millville News, The Bridgeton Evening News, and The Times Herald of her hometown of Norristown, Pennsylvania. MaryAnn has served as a distinguished judge for the annual AMY Writing Awards Program, the annual Capitol Writers Writing Contest (Washington, DC area),and the annual American Christian Fiction Writers Genesis Contest. She is listed in International Whos Who, Whos Who in the East, International Authors and Writers Whos Who, Dictionary of International Biography, The World Whos Who of Women, Whos Who in the World, The International Whos Who of Professional and Business Women, The National Registers Whos Who in Executives and Professionals, Whos Who in America, and Whos Who in Finance and Business. Most important of all, MaryAnn rejoices that she is listed in The Lambs Book of Life! A graduate of the University of Kansas where she earned the Doctor of Philosophy (Ph.D.) degree in French and Comparative Literature, MaryAnn also holds the Doctor of Ministry (D. Min.) degree in Christian Counseling from Christian Leadership University and the Master of Fine Arts (MFA) degree in Writing Popular Fiction from Seton Hill University. She has taught Italian at the University of Kansas, French at the Pitman High School in Pitman, New Jersey, English, French, Spanish, and Creative Writing at the Fairton Christian Center Academy in Fairton, New Jersey, French and Italian at Cumberland County College in Vineland, New Jersey, and Writing and Public Speaking at Rowan University in Glassboro, New Jersey. She also served as Assistant Professor of Italian and Spanish at Camden County College in Blackwood, NJ, as Adjunct Professor of Biblical Business Principles at New Life Bible College in Millville, NJ, as Adjunct Professor of Writing at Nottingham-Trent University (United Kingdom), and as Adjunct Online Professor of French at Regent University, Virginia Beach, VA. She is currently working toward the Master of Fine Arts (MFA) degree in Writing Popular Fiction at Seton Hill University, Greensburg, PA.
MaryAnn has served on the faculty of several writers conferences, including the Philadelphia Writers Conference, the St. Davids Christian Writers Conference, the Greater Philadelphia Christian Writers Conference, the Sandy Cove Christian Writers Conference, and The New Jersey Society of Christian Writers Seminar. MaryAnn is also a graduate of the three-year program of Rhema Correspondence Bible School, a diplomate of The Institute of Childrens Literature, and a graduate of CLASS (Christian Leaders, Authors, and Speakers Services). She currently serves as Hostess for the Children's Writers' Loop of American Christian Fiction Writers. In 1984, MaryAnn founded Daystar Communications, later known as Daystar Ministries International. She ran this ministry until 2005, at which point it was incorporated into MaryAnns other ministries. MaryAnn is also a Certified Life Coach, a Certified Behavioral Consultant, and a Certified Biblical Counselor. She is a gifted Bible teacher and speaker. In her Life Coaching practice, MaryAnn helps peopleespecially writers, artists, and business ownersdefine their mission in life and fulfill it. You can learn more about MaryAnns coaching services at www.TopNotchLifeandCareerCoaching.com. For all that God has done and continues to do in her life, MaryAnn gives Him all the praise and all the glory! Copyright 2002-2014 by Dr. MaryAnn Diorio. All rights reserved.